Your outdoor living area can be a source of enjoyment when you’re relaxing outside, gardening or entertaining. 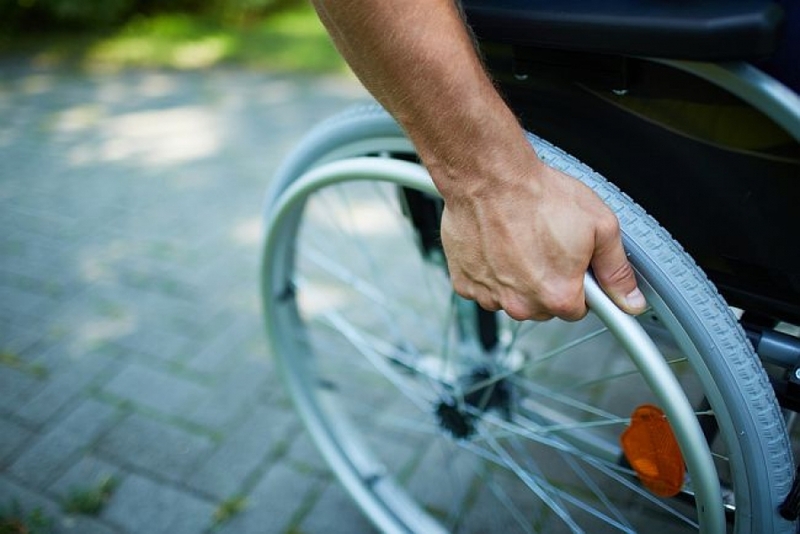 But if you have challenges with mobility, or you have friends or family with mobility issues who come to visit, your yard may not be easily accessible. The CDC reports that one in eight adults has a disability and 40 percent of adults over the age of 45 have difficulty with physical movement. Even if you don’t have mobility issues, young families with children can also benefit from having an accessible yard. Here are a few tips to make your outdoor living area easier for everyone to enjoy. For people with mobility problems, even one or two steps can be difficult to navigate. A gradual sloping walkway or a ramp in place of steps can provide better access to an outdoor living space. When building a ramp, refer to the American Disabilities Act Code for measurement guidelines. (Even though private homes are not required to follow these requirements, they’ll help you determine proper slope, length and width specifications.) Ramps can be built with wood or metal. If you don’t have access to a professional who can build a ramp for you, some pre-made ramps are available online. Add skid-resistant surfaces to the ramp with special paint, tape or rubber matting for added protection against falls or slipping. The threshold entrance into the home can also pose a problem for people with mobility challenges. You can purchase small threshold ramps at local hardware stores. Ramps can be made to enhance, not detract from the look of your home and increase your resale value. Check out Pinterest for some great ideas. 2.Clear, repair, or replace pathways. Does your yard have a sitting area outside where you like to spend time by yourself or enjoy the company of friends and family? Are sidewalks and paths in your yard in poor condition with cobblestone or pavers that shift over time, or trees and bushes that become overgrown? Consider hiring a landscaper to trim or replace trees or bushes. They can repair or replace materials on a walkway that are hazardous to navigate with a cane, crutches, walker, wheelchair or mobility scooter. Think about replacing mulch, stepping stones and gravel with crushed limestone, as this can make pathways smoother. Or, have walks paved with asphalt or concrete. Good sidewalks and pathways are smooth, flat or gently sloping, free of clutter, and at least 4 feet wide to accommodate mobility aids. Gardens provide benefits for young and old. Children learn the appreciation of seeing plants grown and bloom, and, according to a research study, daily gardening can reduce dementia by 36 percent in seniors. Whether you’ve maintained beautiful gardens for years or you’re just now trying out your green thumb, you can create a garden that’s within reach. Making a few changes can help minimize bending and straining for people with back and joint discomfort. Think about reducing the size of your gardens and raising them up to a higher level. Ask family or friends if they will help you make gardens more accessible by building a raised bed garden. You can also try vertical gardens: Make them with trellises, tomato cages or standing planters. You and your whole family can benefit from keeping outdoor spaces accessible and well maintained. It could even increase the value of your home.